Tag line: "Two worlds. One hero." According to estimates, Marvel spent about $150 million dollars producing 2011’s Thor, and from the looks of it, every penny made its way to the screen. With its spectacular depiction of Asgard and incredibly realized action scenes, Thor was yet another feather in Marvel’s already crowded cap. In the realm of Asgard, home of the Gods, Odin (Anthony Hopkins) is about to name his eldest son, Thor (Chris Hemsworth), heir to his throne. The ceremony is interrupted, however, by the arrival of some Frost Giants from Jotunheim, who’ve come to steal back the Casket of Ancient Winters, which Odin took from them centuries ago after defeating the Giants in a costly war. Angered by this insult, Thor, along with his brother Loki (Tom Hiddleston) and several of his friends, travel to Jotunheim to challenge the giants, and in the process push the two realms to the brink of war. As a result of his actions, Odin deems Thor too impetuous to be his successor. So he strips the Thunder God of his powers and banishes him to earth, where he’s taken in by astrophysicist Jane Foster (Natalie Portman), who, along with her colleague Dr. Erik Selvig (Stellan Skarsgård) and intern Darcy Lewis (Kat Dennings), has been studying unusual phenomena in the area (most of which, it turns out, has been emanating from Asgard). Before long, Agent Coulson (Clark Gregg) of S.H.I.E.L.D. shows up and confiscates all of Jane’s data in the interest of “national security”. Meanwhile, in Asgard, Loki learns the truth about his heritage, and conspires with Laufey (Colm Feore), King of the Frost Giants, to kill Odin and claim the throne for himself. Being something of a mythology nut in my youth, I naturally gravitated towards Marvel’s Thor, and for a few years even subscribed to the comic book. Considering their already impressive track record, I couldn’t wait to see how the studio would bring this elaborate world to the big screen, and, sure enough, I wasn’t disappointed. First and foremost, the Godly realm of Asgard is stunning (while it may be too glitzy for some, I thought it was just about perfect), especially the Bifrost, which is essentially the “bridge” that connects Asgard to the rest of the universe. Guarded at all times by Heimdall (Idris Elba), it is an incredible sight to behold: a golden sphere at the edge of the world that shuttles the Asgardians to whichever planet they desire, carrying them on a beam of light. Then, after introducing us to this awesomeness, director Kenneth Branagh (yes, that Kenneth Branagh) follows it up with a tremendous action sequence: the showdown on Jotunheim, where Thor disregards his father’s wishes and challenges the Frost Giants to an all-out war. As movie openings go, it doesn't get much better than this! The cast is also exceptional, with Hemsworth convincingly capturing Thor’s early arrogance and, eventually, his humility, brought on by the realization of what his actions have cost him. Matching Hemsworth in every scene is Hiddleston as Loki, perhaps the most charismatic villain in the Marvel universe to date. Deceptively upstanding at the start, Loki shows his true colors the moment he realizes he’s not the natural son of Odin and his wife, Freya (played by Rene Russo). Having spent most of his life jealous of his brother’s accomplishments, Loki is now ready to fight for what he feels is rightfully his. Together, Hiddleston and Hemsworth make for an interesting duo, and they play off one another wonderfully. After setting the bar high in the early years of the 21st century with the X-Men and Spider Man franchises, Marvel then redefined the genre with 2008’s Iron Man, which, tyhe moment I saw it, became one of my all-time favorite superhero movies. 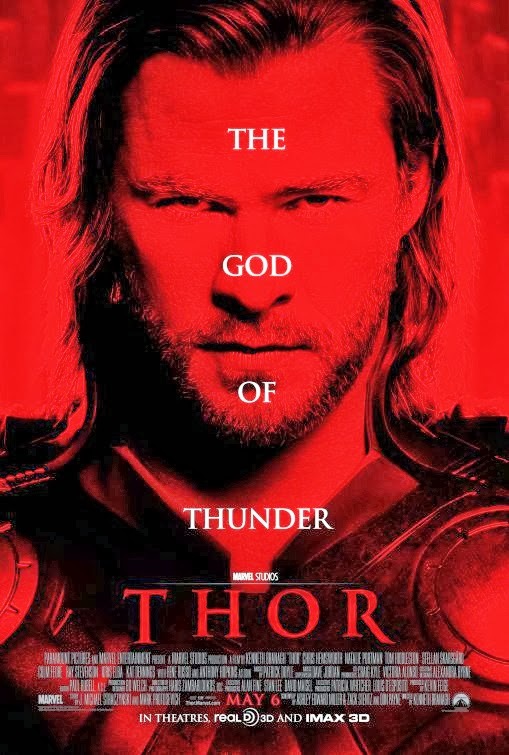 With Thor, they tackled their most ambitious project to date (they’d surpass it the following year, but more on that later), and in doing so, delivered a film of God-like proportions.